Sierra Club Florida News: Tens of Thousands Tell U.S. 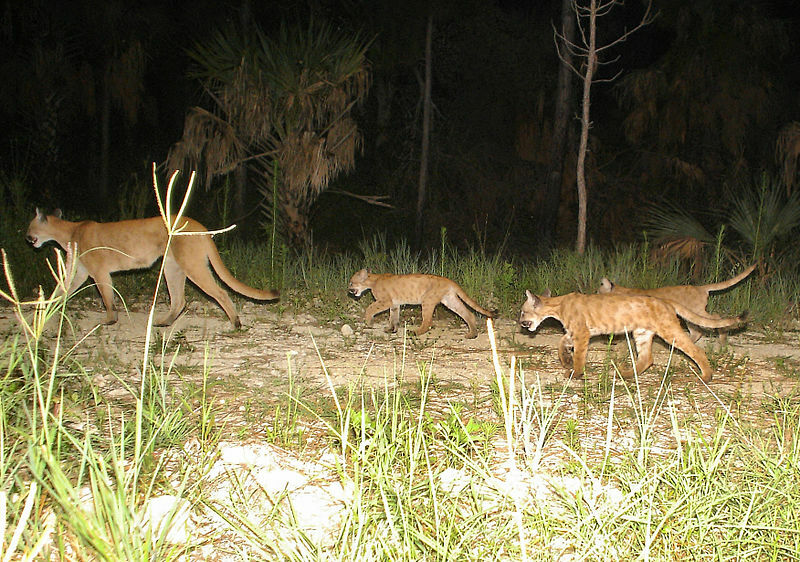 Fish and Wildlife: No Mega-development in Florida Panther Habitat! Tens of Thousands Tell U.S. 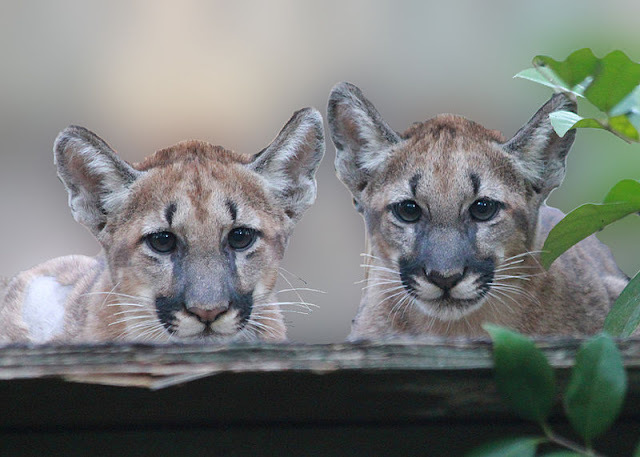 Fish and Wildlife: No Mega-development in Florida Panther Habitat! As of November 30, the U.S. Fish and Wildlife Service had received over 30,000 comments submitted by people from across the nation demanding that the agency reject the Eastern Collier County Multiple Species Habitat Conservation Plan (Plan) Application and all associated permits that will harm Florida panthers and destroy their habitat. The Plan calls for the destruction of thousands of acres of panther habitat to build sprawling residential developments. In addition to comments submitted by the general public, and joint comments submitted by the Center for Biological Diversity, Conservancy of Southwest Florida, Natural Resources Defense Council, and Sierra Club, on November 30, forty-one (41) organizations and businesses representing additional tens of thousands of Floridians sent a letter to Fish and Wildlife Service opposing the plan. These comments were submitted during a woefully inadequate, 45-day comment period. Conservation groups requested an extension of the comment period and a public meeting from the Fish and Wildlife Service, but it denied both requests. The one and only public meeting, with a standing-room-only crowd, was held in 2016. The majestic, vulnerable Florida panther was one of the first species listed as endangered in 1967, and today it remains one of the most endangered species in the United States. As few as 120 panthers remain, which is far short of the population necessary for the species’ recovery under the Endangered Species Act. Rampant development and climate change threaten to destroy what little habitat remains for this magnificent creature’s recovery. Nevertheless, the Fish and Wildlife Service is considering this destructive Plan that would be devastating to panther recovery. If approved, this misguided Plan would let real estate developers convert panther habitat in Eastern Collier County, Florida into sprawling housing developments. Within the proposed 45,000-acre mega-development plan, approximately 20,000 acres of panther “primary zone” habitat would be destroyed. This habitat supports the only breeding Florida panther population in the world. Meanwhile, the developer-applicants claim that the “plan” will protect 107,000 acres in Eastern Collier County; yet, that 107,000 acres would be subject to agricultural intensification and oil and gas development, and in portions of this area, low density development. “Don’t be fooled by the name Habitat Conservation Plan – this is a destruction plan and is contrary to the future of the Florida panther,” said Cris Costello, Sierra Club Organizing Manager. “The HCP would sever and fragment wildlife corridors that the Florida panther relies upon to move across the landscape. Without these corridors the panther will become more isolated and will never be able to fully recover,” said Amber Crooks, Conservancy of Southwest Florida Environmental Policy Manager. Approval of the proposed Eastern Collier County Multiple Species Habitat Conservation Plan and the associated 50-year take permits would enable intense mining, and residential and commercial development on 45,000 acres of habitat that is vital to the panther and other imperiled species including the scrub jay, caracara, wood stork, red cockaded woodpecker, snail kite, eastern indigo snake, and Florida bonneted bat. The permits would facilitate construction of tens of thousands of homes, resulting in greatly increased traffic, roads, and other infrastructure that would further fragment dwindling panther habitat, obstruct corridors necessary to movement and recovery, and increase the already grave number of panther deaths from vehicle collisions. The proposed development will also result in impacts to water resources, water supply, and sensitive public lands adjacent to the plan area. While the comment period is over, the fight to protect the panther is not. We will not sit by and let anyone strip South Florida of the land that is absolutely necessary for the continued existence of the panther. Extinction is not an option!